Take a look at how Railway Children find funding for overseas projects in India and East Africa, as well as projects in the UK. Our railways are used by millions of people every day – they provide a hub for commuters, travellers, tourists and visitors – but they also attract desperate young people with nowhere else to go. In India a child arrives alone on a platform every five minutes; in the UK 100,000 children run away from home every year, often using the transport network to escape, and in Kenya there are five million orphans living on the streets. Railway Children has been fighting to protect the millions of vulnerable children living alone on the streets of India, East Africa and the UK since 1996. Every year thousands of children across these countries run away or are forced to leave home due to unbearable poverty, neglect and abuse. Often they face even greater problems on the streets and the bustling railway stations, where they are at constant risk of sexual abuse, exploitation and violence. 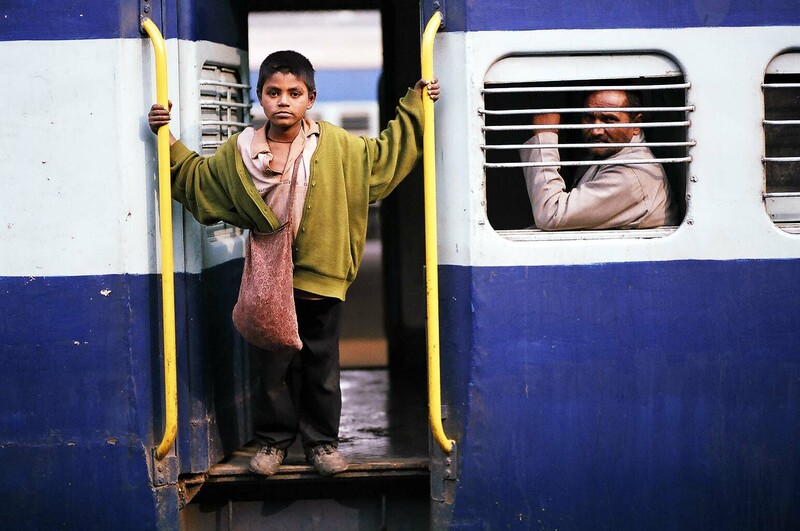 Railway Children aims to reach them as soon as they arrive on the streets or stations – before an abuser can. The charity works at three levels to tackle issues facing runaway children and keep them safe. At street level, Railway Children partners with local organisations and railway staff to create ‘child-friendly’ stations. At community level, they are trying to change society’s perceptions of these children, increase their visibility and help communities to recognise their role in protecting them. The charity also works on a government level to push the issue higher on the political agenda and advise on concerns affecting runaway children. Trusts and Grants Manager Pauline Medovnikov, initially uses trustfunding.org.uk to find potential grant makers sympathetic to Railway Children’s cause. In 2013, after researching on trustfunding.org.uk and identifying suitable foundations, a successful application was made to the Charles Hayward Foundation which resulted in a grant of £10,000 being awarded to Railway Children to fund a project in South India with local partner Grasm. The project works in Tirupati, a famous pilgrimage site which can give children the impression that it will be a safe destination. On the contrary, however, the huge number of trains bringing tourists in makes them even more vulnerable with child trafficking predators taking advantage. The grant has enabled Railway Children to work with police personnel, railway staff and older street children to provide a child protection network to take children to a place of safety from where a longer term solution can be found for them. The Charles Hayward Foundation no longer funds projects in India but has since further confirmed support for Railway Children’s work in Tanzania. Use trustfunding.org.uk as a springboard before going on to do your own in-depth research into relevant grant-makers. Make sure to cross reference on the Charity Commission website. Pick up the phone and speak to the funder if you can. It’s always good to introduce yourself before you send off an application. Make sure you tailor your application so that whoever is reading feels special in some way. You don’t want them to feel like they’re just one of many applications you have sent.